GIGABYTE last year entered the memory market with its Aorus RGB and GIGABYTE-branded DIMMs, designed for enthusiasts. 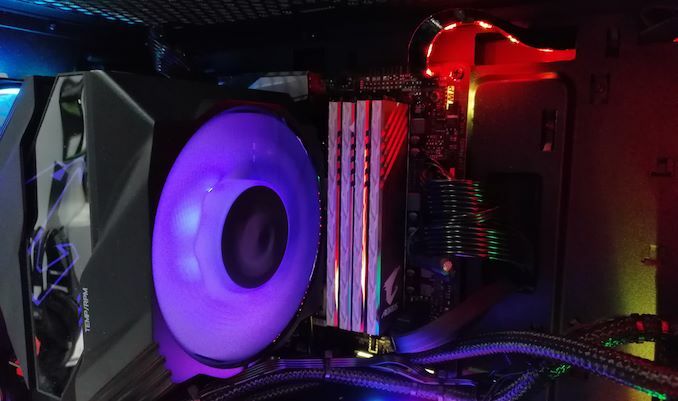 To some degree the project was experimental with conservative DDR4-2666 and DDR4-3200 speed bins built on Samsung B-die ICs, typically known for much higher performance. 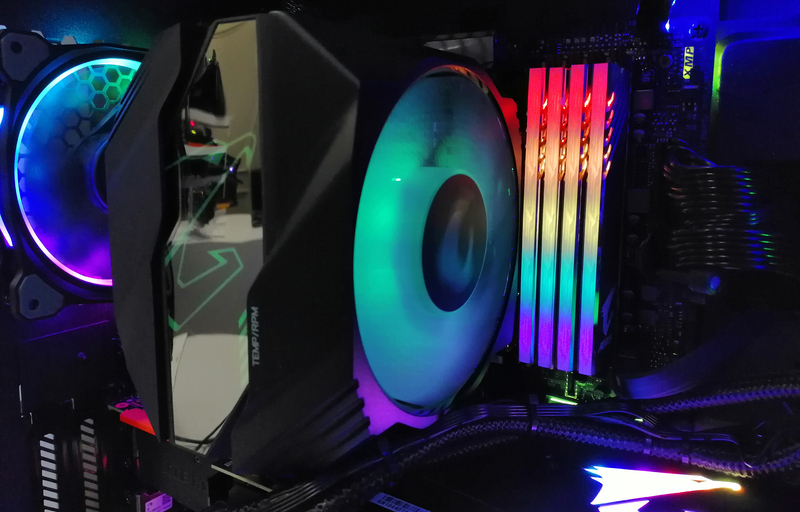 At CES the company introduced faster Aorus RGB DIMMs that not only top at DDR4-4000, but do so using SK Hynix C-die ICs.. 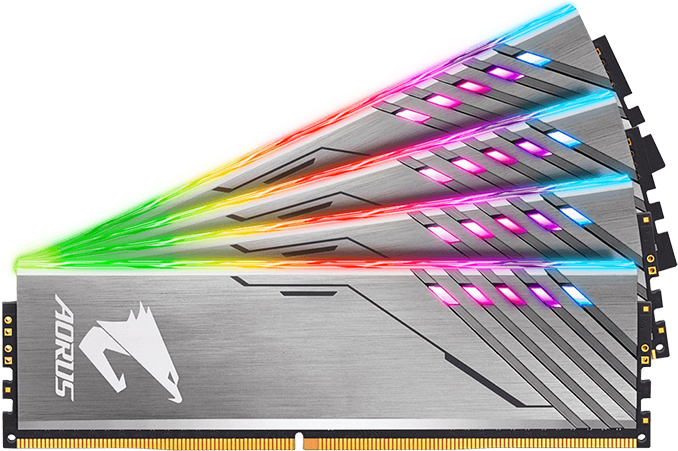 In the near future GIGABYTE plans to add DDR4-3600 at CL18 and DDR4-4000 16 GB (2 × 8 GB) dual-channel kits to its Aorus RGB Memory lineup. The modules feature regular 1.35 V voltage for enthusiast-class DIMMs, they are also outfitted with XMP 2.0-enabled SPDs for one-click overclocking beyond JEDEC specifications, and they are equipped with aluminum heat spreaders with addressable RGB lights. The most interesting information about the new memory sticks is that they are based not on Samsung’s 8 Gb B-die memory chips that are traditionally used for enthusiast-class DIMMs, but on SK Hynix’s 8 Gb C-die DDR4 devices. C-Die DRAMs from SK Hynix have existed for at least a couple of years and numerous shipping DDR4-3600 (and lower) DIMMs use these chips. 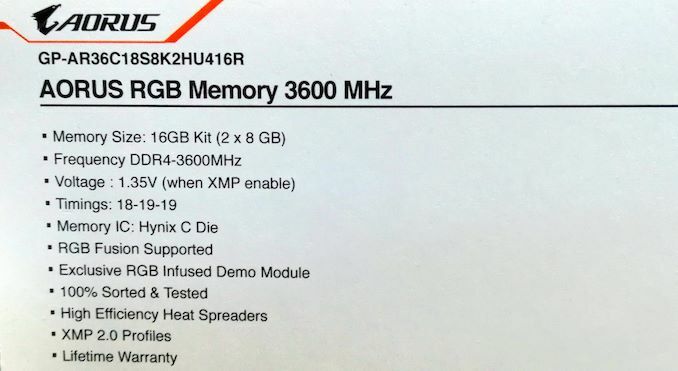 Meanwhile, GIGABYTE seems to be the first supplier of memory modules which has managed to overclock them to a DDR-4000 speed for a retail product. Overclocking potential of SK Hynix C-die-based DDR4-3600 and DDR4-4000 DIMMs beyond their stock speeds is something that remains to be seen, but with new Aorus RGB Memory modules hitting the market shortly, we will certainly learn more about it in the coming months. Interesting, I wonder what subtimings they used to do this.